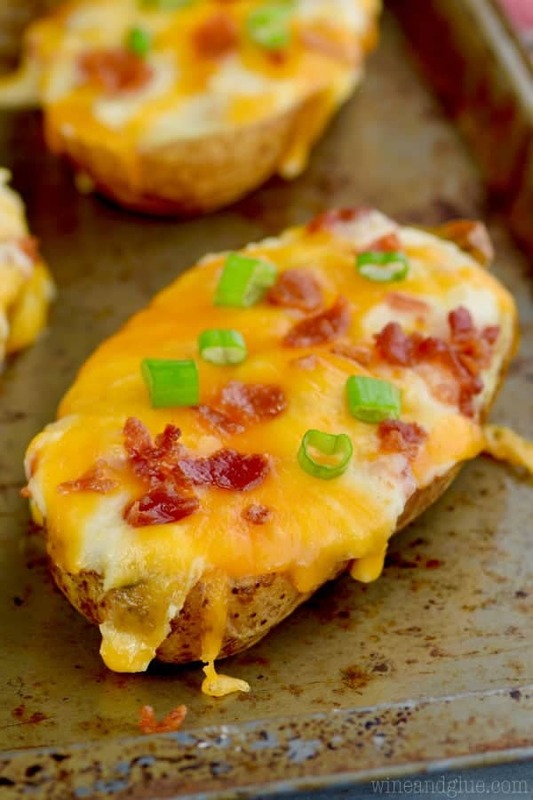 This Bacon Cheddar Twice Baked Potato Recipe is easy to make and absolutely delicious. Loaded with all of your favorite flavors, these could make a meal on their own. 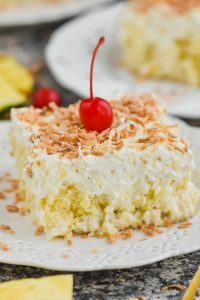 If you are looking for something to serve them with, they would go great with a nice steak or just some simple roasted asparagus or toasted coconut green beans. When I was growing up, my mom made the best dinners. Like, I seriously look at the dinners I feed my kids and sometimes question my parenting as a whole and fall into a deep tail spin. I mean, I am for sure doing my best, but between picky little ones and a picky husband, I sometimes get worried that they aren’t getting as much variety in life as they should be. My mom may have forced us to eat grain burgers (don’t ask what those are, guys) more times than I was comfortable with, but you could never say that she didn’t raise some well rounded eaters. Anyway! One of the things that she made that I remember so fondly – and that my brothers hated with a passion reserved for grain burgers – was twice baked potatoes made with fake crab. She was a fan of fake crab and so was I – probably one of the reasons that I love her crab pasta salad so much. I definitely am going to make the crab twice baked potatoes for the blog at some point, but I figured I should start things out with the regular old stand by first. 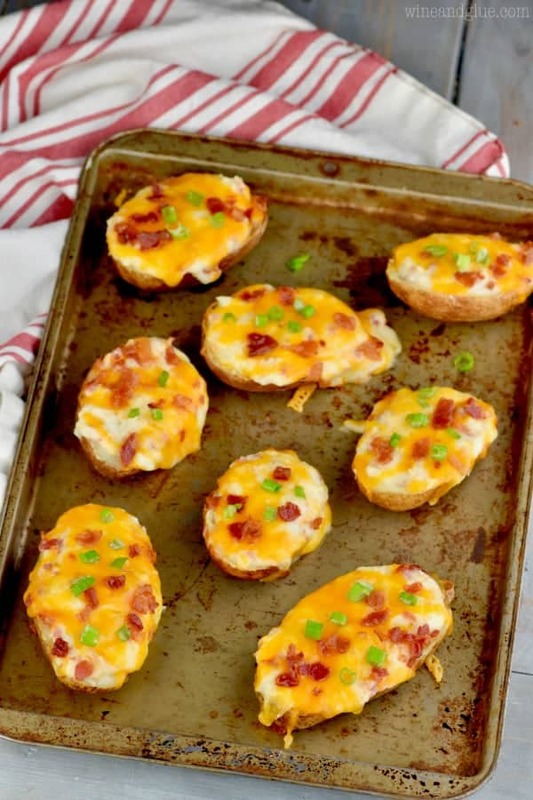 These twice baked potatoes can be done so many different ways, but they will need to start the same way each time. 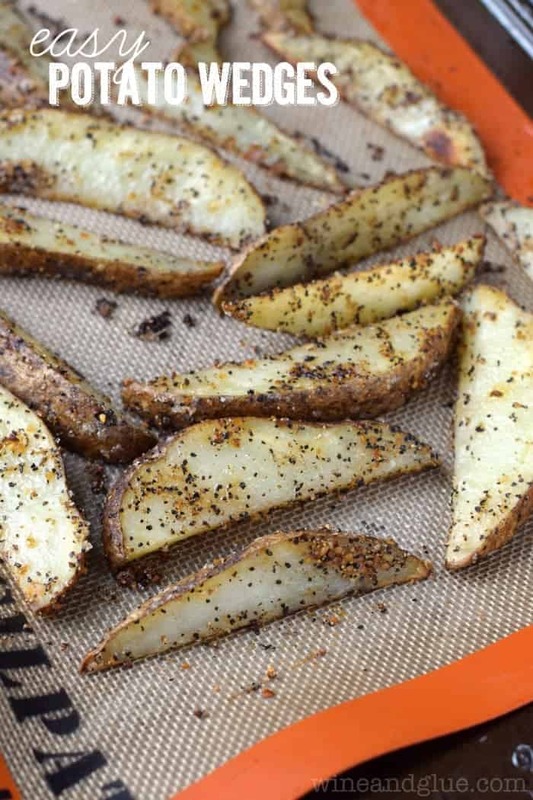 Grab some russet potatoes, give them a good wash, rub them with just a little bit of extra virgin olive oil and throw them on a baking sheet for an hour at 400 degrees. After they bake, remove them from the oven and when they are cool enough to handle carefully slice them in half. Scoop out most of the inside of the potato, leaving about 1/4 inch all the way around. Reserve the insides in a large bowl and beat them until smooth. 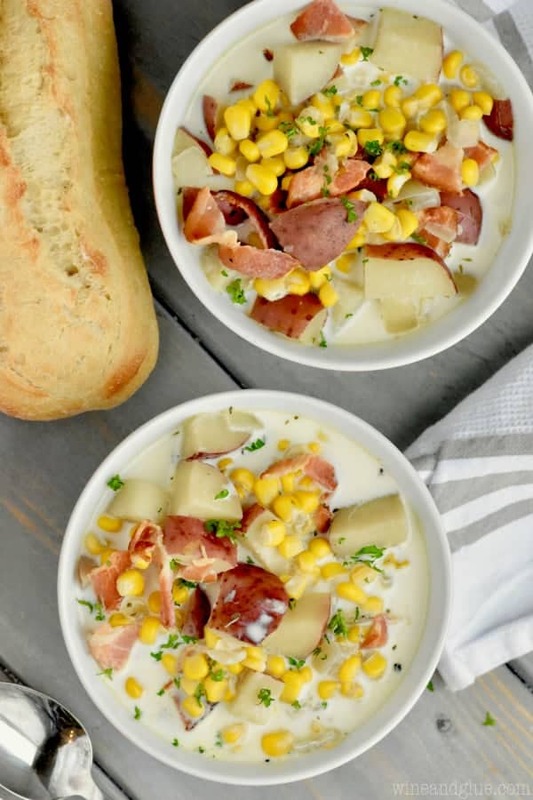 Beat in butter, sour cream, bacon, and cheese. Top with more cheese and more bacon and bake until things get nice and gooey. Don’t let me tell you how to do it though, there are dozens of ways that you could mix things up and make these different. It’s kind of what we food bloggers do. It’s our jam. 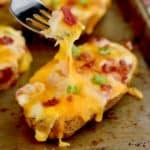 Add some pizza sauce, pepperoni, and olives and make Pizza Twice Baked Potatoes. 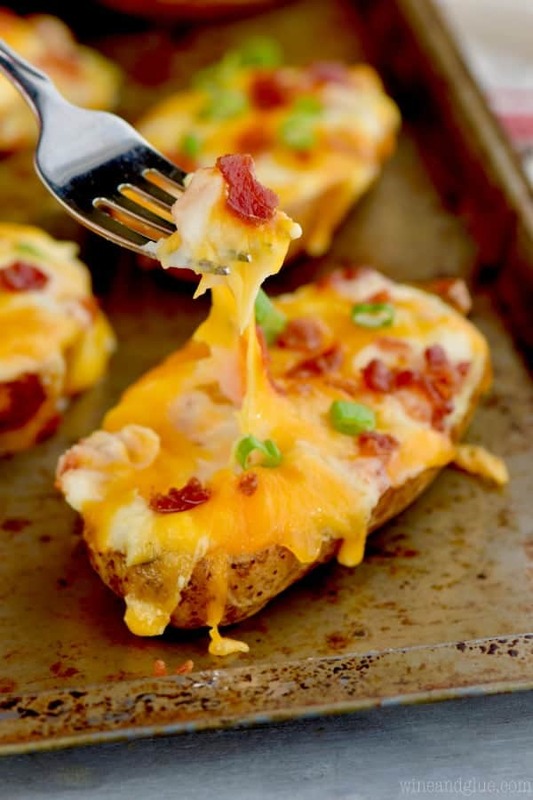 Add some salsa, taco meat or chicken, olives and make Taco Twice Baked Potatoes. Love sweet potatoes? 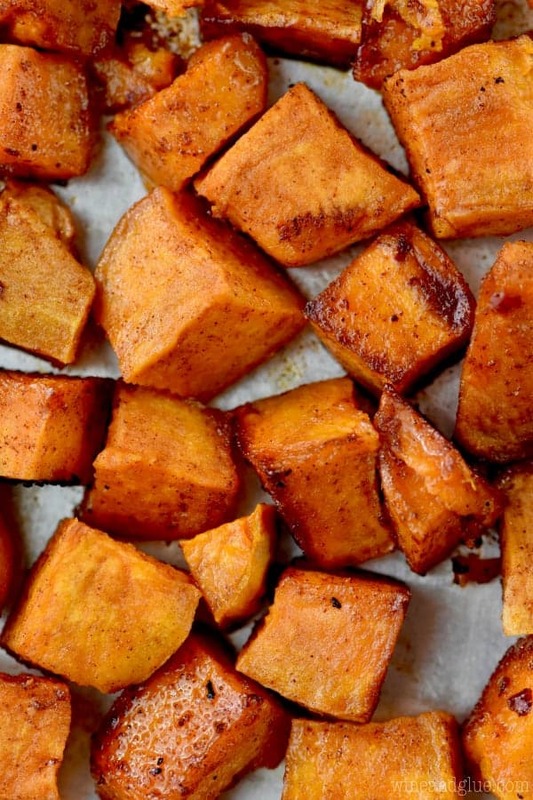 Do this recipe with sweet potatoes. Throw in some different spices for different flavors. If you are wondering if it would be good, give it a try! These are pretty hard to mess up! If you are looking to round out your meal while keeping it on the lighter side, you could serve this along side this Slow Cooker Curried Lentil Soup, this Butternut Squash Soup, or this Dill Pickle Soup! 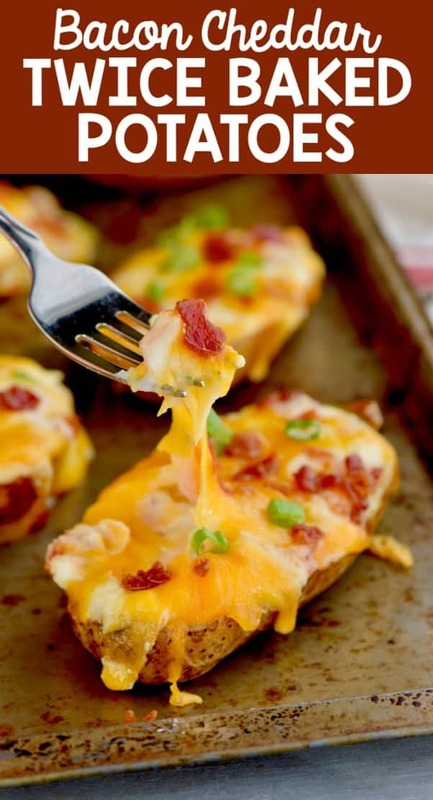 This Bacon Cheddar Twice Baked Potato Recipe is easy to make and absolutely delicious. Loaded with all of your favorite flavors, these could make a meal on their own. Preheat your oven to 400 degrees. 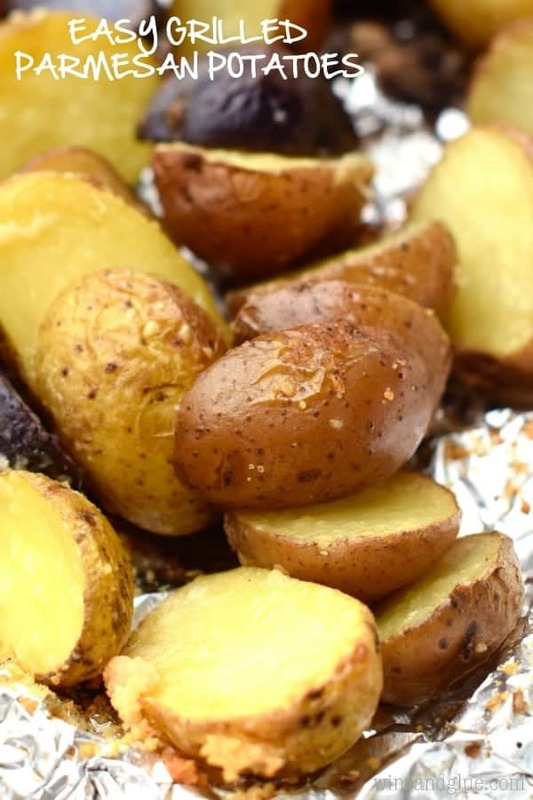 Rub the potatoes lightly with extra virgin olive oil. 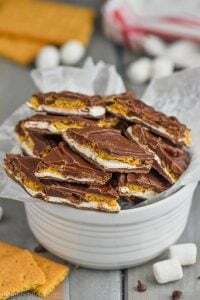 Set them on a baking sheet and cook for one hour or until you can easily slice through one. Once the potatoes are cool enough to handle, gently slice them in half. Scoop out the insides, leaving 1/4 inch of the potato around the edges, and putting the scooped insides into a medium bowl. Beat the potatoes until smooth. Beat in the butter, sour cream, and milk. Stir in the salt, pepper, 3/4 cup of the bacon bits, and half of the cheddar cheese. Put the mixture into the potato shells. Top with the reaming cheese and bacon. Bake for 10 minutes or until the cheese is melted. Near the bacon bits in the aisle of the grocery store with the salad dressing, they now sell pre cooked bacon. It comes in little bags and is a bit softer than bacon bits. 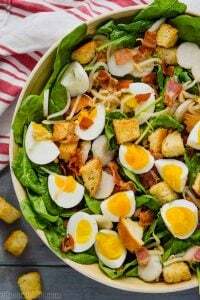 It works just like cooked and crumbled bacon in recipes and is so handy! 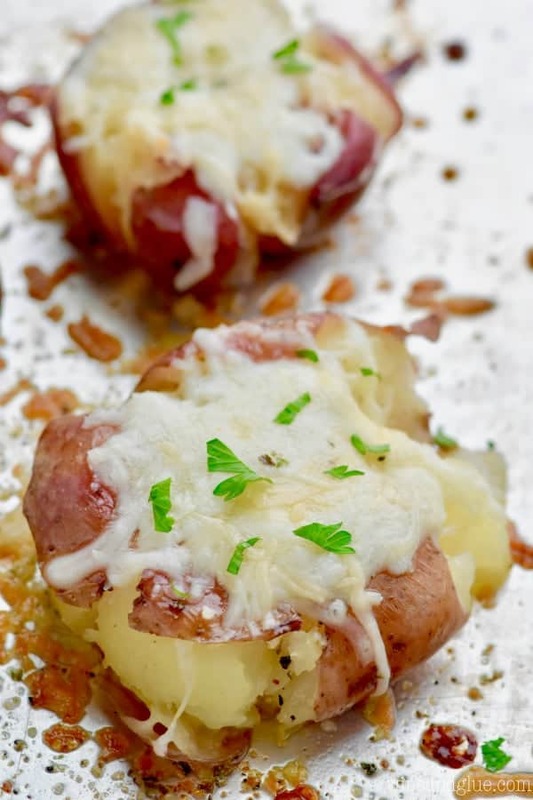 If you are looking for more delicious potato recipes, check these out! 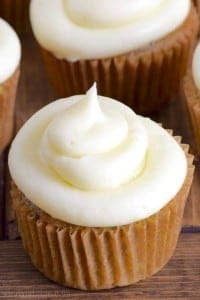 Looking so much delicious! ???????????? 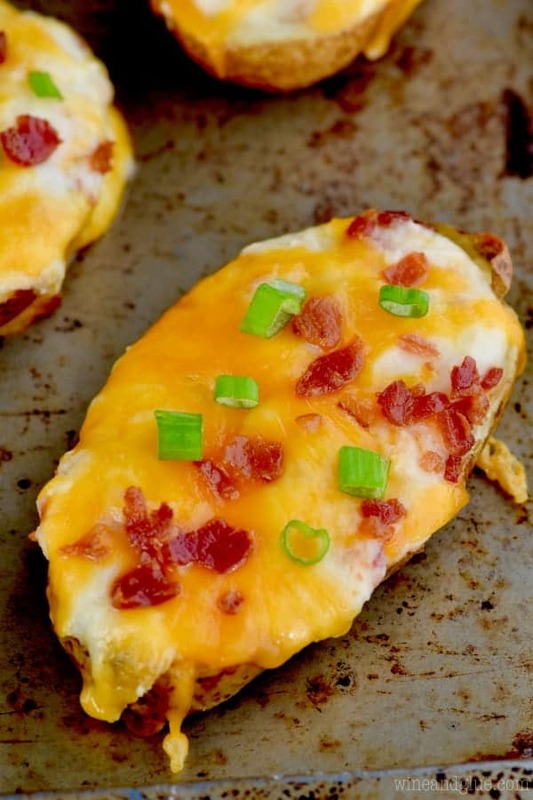 Your Bacon Cheddar Twice Baked Potato Recipe making me hungry! Love love love, Only total time need 1 hour 20 minutes!. I will try right now according to your instruction.